Nowadays all over the world companies are increasingly going overseas in search of growth and new opportunities. Moreover, going global is no more big companies’ prerogative. With new technologies it becomes much easier for small and mid-sized companies to get to international markets. Today, by means of different internet services or traditional expos, a company that has developed an innovative technology can find its new customers or business partners in countries it didn’t even know about. This world’s interconnection creates enormous opportunities for companies to increase profits, acquire new competencies, cut costs through global outsourcing, reduce dependence on existing markets, and attract new investors. On the other hand, signing a contract in a country that you don’t know very well imposes a certain risk. Generally in each foreign country there are always some economic and political particularities, which companies wish they had known before they accepted a project in this country. Besides, each country has its own cultural particularities, which becomes crucial when you are building a team in a foreign country, or trying to understand customer attitudes, or negotiating an agreement with a new business partner. So, before going to a new market it is definitely worth to get an insight into it. In this context, I’d like to talk about three free web-services, which can be helpful for companies that are going to export, settle or invest in a foreign country. 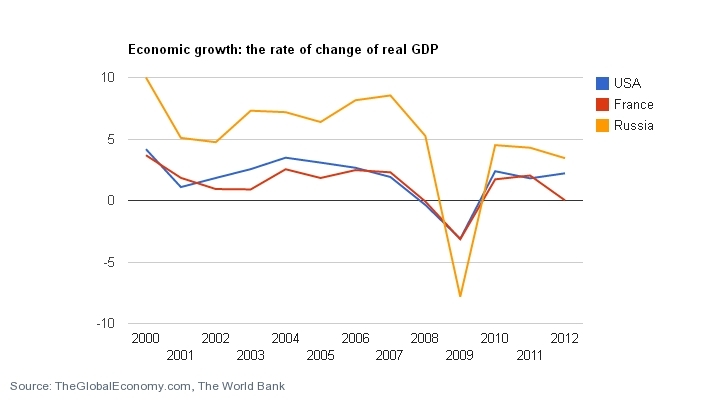 TheGlobalEconomy.com provides practically all economic information you may need to know about over 200 countries. The service also provides interactive tools of ranking and comparing countries as well as explanation of key concepts in the global economy. TheGlobalEconomy.com was initially started as a support service on macroeconomics and international economics for students of Georgia State University. Today it has become an endless source of economic data, which gives access to information that you would search for days or even weeks. So, TheGlobalEconomy.com is a website which allows you to understand the economy in different parts of the world. Moreover, the site helps you to interpret different economic indicators and understand how they influence on the countries’ economy. Geert Hofstede is a Dutch social psychologist who has developed a framework for assessing national cultures, known as the cultural dimension theory. It describes the effects of a society’s culture on the values of its members, and how these values relate to their behavior. Today, Hofstede’s cultural dimension theory is considered as the most comprehensive study of how culture influences on workplace values. Power distance is the extent to which the less powerful members of organizations and institutions (like the family) accept and expect that power is distributed unequally. A high PDI indicates that society accepts an unequal distribution of power, and that people understand “their place” in the system. Low PDI means that power is shared and well dispersed. It also means that society members view themselves as equals. This refers to the strength of the ties people have to others within the community. In countries with a high IDV score we find societies in which the ties between individuals are loose: everyone is expected to look after her/himself and her/his immediate family. In countries with low IDV score we find societies in which people from birth onwards are integrated into strong, cohesive in-groups, often extended families (with uncles, aunts and grandparents) which continue protecting them in exchange for unquestioning loyalty. Uncertainty avoidance deals with a society’s tolerance for uncertainty and ambiguity. It indicates to what extent a culture programs its members to feel either uncomfortable or comfortable in unstructured situations. High UAI-scoring nations try to avoid ambiguous situations whenever possible. They are governed by rules and order and they seek a collective “truth.” Low UAI scores indicate that the society enjoys novel events and values differences. There are very few rules, and people are encouraged to discover their own truth. Contrary to the title, this dimension doesn’t deal with gender roles. For Hofstede masculine cultures’ values are competitiveness, assertiveness, materialism, ambition and power, whereas feminine cultures place more value on relationships and quality of life. A high score (masculine) on this dimension indicates that the society will be driven by competition, achievement and success, with success being defined by the “winner” or “best-in-the-field.” A low score (feminine) on the dimension means that the dominant values in society are caring for others and quality of life. A feminine society is one where quality of life is the sign of success and standing out from the crowd is not admirable. The fundamental issue here is what motivates people, wanting to be the best (masculine) or liking what you do (feminine). Long- term oriented societies foster pragmatic virtues oriented towards future rewards, in particular saving, persistence, and adapting to changing circumstances. Short-term oriented societies foster virtues related to the past and present such as national pride, respect for tradition, preservation of “face”, and fulfilling social obligations. Countries with high LTO score will sacrifice short-term gain for long-term benefits and can often command greater sacrifice from their members. In countries with low LTO score, members value rationality, immediate results, and preservation of current financial and social stability. Geert-hofstede.com is a web service that classifies and visualizes values of Hofstede’s cultural dimensions. When you select a country you are interested in, the service doesn’t only give you its cultural dimensions scores, but it also interprets these numeric values in a brief summary. You can also choose several countries and compare their cultural differences. As an example, I’ll check three countries where I used to live in different periods of my life and whose cultures are familiar to me. These countries are France, Russia and the USA. The USA has a low score on this dimension (40), which shows that in American organizations hierarchy is established for convenience, superiors are always accessible and managers rely on individual employees and teams for their expertise. Both managers and employees expect to be consulted and information is shared frequently. At the same time, communication is informal, direct and participative. With 68 points, France scores high on the scale of the PDI. In France hierarchy is existential; the superiors may have privileges and are often inaccessible. The power is highly centralized in France, as well as Paris centralizes administrations, transports etc. In management, the attitude towards managers is more formal, the information flow is hierarchical. The way information is controlled is even associated with power, therefore unequally distributed. Russia, scoring 93, is among the 10% of the most power distant societies in the world. This is underlined by the fact that the largest country in the world is extremely centralized: 2/3 of all foreign investments go into Moscow where also 80% of all financial potential is concentrated. The huge discrepancy between the less and the more powerful people leads to a great importance of status symbols. Behavior has to reflect and represent the status roles in all areas of business interactions: in visits, negotiations or cooperation; the approach should be top-down and provide clear mandates for any task. The United States, with a score of 91 on this dimension, is a highly individualistic culture. This translates into a loosely-knit society in which the expectation is that people look after themselves and their immediate families. In the business world, employees are expected to be self-reliant and display initiative. Also, within the exchange-based world of work, hiring and promotion decisions are based on merit or evidence of what one has done or can do. At 71 France scores high on the individualistic index. This means that the French favor individual and private opinions, taking care of themselves and immediate family rather than belonging to a group. In the work environment, the relationship with work is contract based, the focus is on the task and autonomy is favored. The communication is direct and everyone is allowed to speak up, voice out their opinions even more if they do not agree. The management is the management of individuals and the recognition of one‘s work is expected. If Russians plan to go out with their friends they would literally say “We with friends” instead of “I and my friends”, if they talk about brothers and sisters it may well be cousins, so a lower score of 39 even finds its manifestations in the language. Family, friends and neighborhood are extremely important to get along with everyday life’s challenges. Relationships are crucial in obtaining information, getting introduced or successful negotiations. They need to be personal, authentic and trustful before one can focus on tasks and build on a careful to the recipient, rather implicit communication style. The United States score 62 on this dimension and is considered a “masculine” society. Behavior in school, work, and play are based on the shared values that people should “strive to be the best they can be” and that “the winner takes all”. As a result, Americans will tend to display and talk freely about their “successes” and achievements in life, here again, another basis for hiring and promotion decisions in the workplace. With 43, France is a relatively Feminine country. With its famous welfare system (securité sociale), their 35 working hours/week and 5 weeks holidays per year, France cares for its quality of life and focuses more on work in order to live than the reverse. Competition amongst work colleagues is usually not favored as feminine societies have more sympathy for the underdog. And material signs of success, especially flashy ones, should not be too visible. The management should be supportive and dialogue should help resolve conflicts. Russia’s relatively low score of 36 may surprise with regard to its preference for status symbols, but these are in Russia related to the high Power Distance. At second glance one can see, that Russians at workplace as well as when meeting a stranger rather understate their personal achievements, contributions or capacities. They talk modestly about themselves and scientists, researchers or doctors are most often expected to live on a very modest standard of living. Dominant behavior might be accepted when it comes from the boss, but is not appreciated among peers. The US scores 46 on this dimension and therefore, American society is what one would describe as “uncertainty accepting.” Consequently, there is a larger degree of acceptance for new ideas, innovative products and a willingness to try something new or different, whether it pertains to technology, business practices, or foodstuffs. Americans tend to be more tolerant of ideas or opinions from anyone and allow the freedom of expression. At 86 France has one the highest scores on the UAI Index. Certainty is often reached through academic work and concepts that can respond for the need of detail, context, and background. Teachings and trainings are more deductive. In management structure, rules and security are welcome and if lacking, it creates stress. Therefore planning is favored, some level of expertise welcome, when change policies on the other hand are considered stressful. Scoring 95 Russians feel very much threatened by ambiguous situations, as well as they have established one of the most complex bureaucracies in the world. Detailed planning and briefing are very common. Russians prefer to have context and background information. As long as Russians interact with people considered to be strangers they appear very formal and distant. At the same time formality is used as a sign of respect. The United States scores 29 on this dimension and is a short-term oriented culture. As a result, it is a culture focused on traditions and fulfilling social obligations. There is also a need to have the “absolute truth” in all matters. American businesses measure their performance on a short-term basis, with profit and loss statements being issued on a quarterly basis. This also drives individuals to strive for quick results within the work place. At 39 France is a short term oriented society. This means a great respect for tradition as well as a need for norms and absolute truth as guidelines. In terms of business this short term orientation focuses on quick results i.e. companies are driven by quarterly results. Management is based on self-reliance, personal achievement, hard work and managers are judged on short term results. At the moment there is no score available for Russia. Definitely, unlike economic indicators, perception of counties’ culture will largely fluctuate from one person to another. At the same time, economic information is much more accessible and exact. Just try to imagine, how much time do you need to get a cultural insight of one single foreign country? 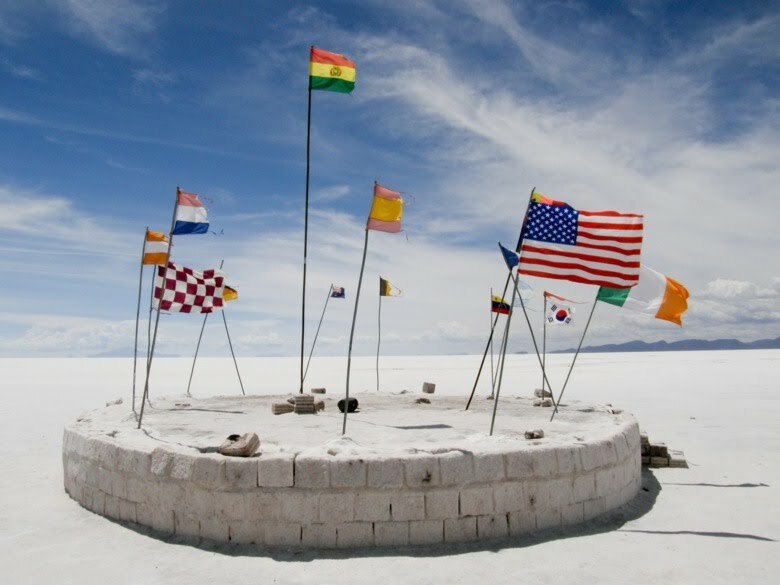 That is why, Hofstede’s cultural dimensions theory is a unique study, which gives an opportunity to understand the culture of the country that you have never visited. In my opinion, the results corresponding to France, Russia and the USA correlate in large part with my personal experience I had in these countries. Consequently, I suppose to have a strong possibility to get the same reliable information for other countries. Kwintessential is an international translation agency that has created a web-based international etiquette guide, which helps to understand people’s cultures, etiquettes and taboos. Along with cultural insight, you will find there some practical information, which can be helpful in your international business relationship. Here we can find social and culture particularities, proper to different countries. It can be information about family values, religion, hierarchy, relationships -public vs. private, social classes, country’s honors, race & respect, non-verbal communication, etc. Indians do not like to express ‘no,’ be it verbally or non- verbally. Rather than disappoint you, for example, by saying something isn’t available, Indians will offer you the response that they think you want to hear. In Egypt honor is an important facet of interpersonal relationships. An individual’s honour is intricately entwined with the reputation and honour of everyone in their family. A man’s word is considered his bond and to go back on your word is to bring dishonour to your family. Saving ‘face’ is crucial in Japanese society. The Japanese believe that turning down someone’s request causes embarrassment and loss of face to the other person. The Japanese will try never to do anything to cause loss of face. Therefore, they do not openly criticize, insult, or put anyone on-the-spot. Silence is an important element of Singaporean communication. Pausing before responding to a question indicates that they have given the question appropriate thought and considered their response carefully. People do not understand western cultures ability to respond to a question hastily and think this indicates thoughtlessness and rude behavior. In China greetings are formal and the oldest person is always greeted first. Four is an unlucky number so do not give four of anything. Eight is the luckiest number, so giving eight of something brings luck to the recipient. Always present gifts with two hands. Gifts are not opened when received. Gifts may be refused three times before they are accepted. In Lebanon people are very “touchy-feely”. Direct eye contact with a lot of physical contact is the cornerstones of Lebanese communication. If you are from a culture where eye contact is less direct and contact not so prevalent, this may feel uncomfortable. Try not to break the eye contact as this conveys trust, sincerity and honesty. However, interestingly the situation is reversed when dealing with elders where prolonged direct eye contact is considered rude and challenging. South Koreans treat legal documents as memorandums of understanding. They view contracts as loosely structured consensus statements that broadly define agreement and leave room for flexibility and adjustment as needed. In Saudi Arabia, you will need a Saudi sponsor (wakeel) to enter the country. The sponsor acts as an intermediary and arranges appointments with appropriate individuals. Saudis prefer to work with people they know and trust and will spend a great deal of time on the getting-to-know-you part of relationship building. So, the web-guide, developed by Kwintessential can be very useful when you will be doing business abroad or receiving a foreign client. This guide will give you different kinds of practical tips that can be helpful once you get in a foreign country. Certainly, each of the above services should not be considered as the endpoint in understanding a foreign country. Of course, the best way to do this is to go and spend several years working there, making business, and meeting different people. Then you will form your own opinion and will be able to debate some of the above conclusions. And in most cases you will be right. Of course, no society is homogeneous and in each country you will find people with different views and values, as well as the economic situation in the specific sector can be different from the country’s average. At the same time, I think that these services are excellent tools to begin with. They are based on a vast number of different data sources and experiences of locals and foreigners who spend a lot of time studying a specific country. So, there is a strong possibility that for many cases they will reflect countries reality. Another advantage is the speed with which you can go from one country to another. Each of these services give you a unique opportunity not just to study a particular country you are interested in, but to compare this country to its neighbors or other countries in the world.